About Us - Brisbane Boating Courses, Boat licence and Jetski licence training in Brisbane QLD, and AMSA approved Exemption 38 courses at Redcliffe. AMSA Master < 24 mt near coastal 200nm, Open coxswain with additional endorsement to operate 30nm offshore, Certificate IV in Training and Assessment,working with children blue card holder, Open Water Dive Certificate, Boatsafe and AMSA authorised training provider and marine radio invigilator,Master fishers licence holder and charter boat licences. A family background in commercial fishing in Queensland waters from Tweed Heads to the Gulf of Carpentaria with some 17 vessels within the family, there was always something to do on the family boats. Neil has sailed on several vessels taking surfers for tours around Java and the Philippines. Neil has been employed by Keith Hall of “Incredible Fishing Charters” based at Redcliffe for about 4 years working as a deckhand and vessel skipper in waters offshore from Point Look-Out to the southern end of the Barwon Banks. Neil is also a professional line fisherman and has held a master fishers licence for many years. Neil’s passion for the sea has now lead him further towards a full time commitment in training community members on public courses about boating safety and assessing skills required for the issue of their boat and jetski licencses. Neil has lived in Redcliffe most of his life attendig schools at Clontarf, Kippa-Ring and Scarborough believes everybody should be able to safely enjoy the pleasures of exploring Tangalooma wrecks,fishing or sailing around MoretonBay as he and his family does. 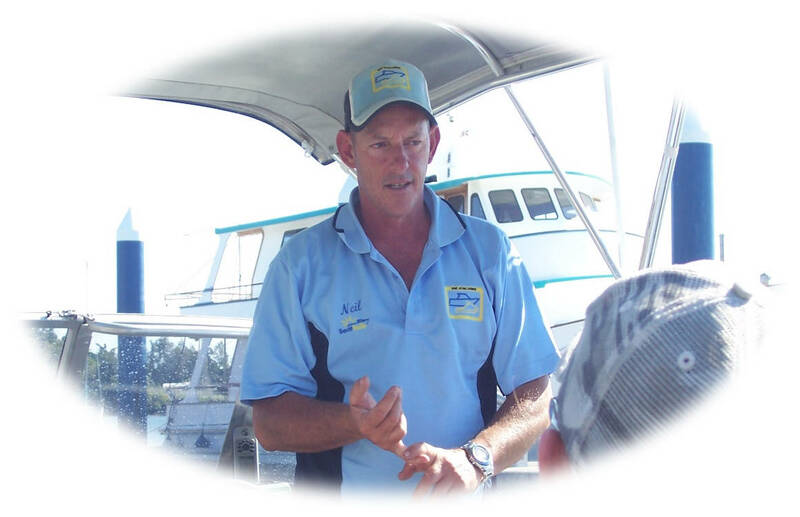 Neil, formally of boatjetskilicence.com.au is offering Boatsafe training courses,face to face, online boat and jetski licencing in and around the Brisbane areas in his own business Brisbane Boating courses. Commercial licences such as AMSA approved Exemption 38 courses for low complexity duties courses , only at our Redcliffe training rooms or other areas by arrangement.